Seth Barnett - Litigation Attorney - Pierce Davis & Perritano LLP. 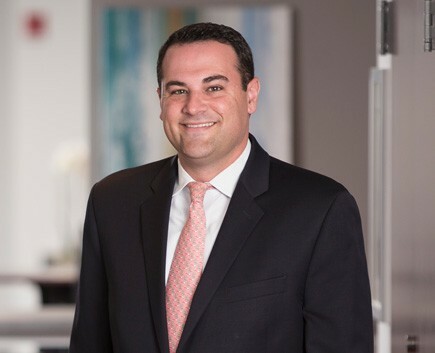 Seth Barnett is an Associate with Pierce Davis & Perritano LLP. His practice is centered on litigation and trial advocacy in defense of both public sector and private clients in a broad range of complex cases, including land use, civil rights, tort, contract, education, employment, and environmental, before all levels of the Massachusetts trial courts, the United States District Court (Districts of Massachusetts), the Massachusetts Appeals Court, and the United States Court of Appeals for the First Circuit. In addition, Mr. Barnett counsels clients on general municipal law, licensing, land use and permitting. He regularly handles significant civil rights and First Amendment matters on behalf of local municipalities and officials, which are often of public significance. For the past several years, Mr. Barnett has counseled numerous local cities and towns in a wide range of complex issues including disputes as to Native American fishing rights, the operation of wind turbines, public access cable programming decisions, the impact of a residential development on a drinking water supply, and the liability of high school coaches for student-athlete head injuries. For over a decade, Mr. Barnett has appeared before federal and state courts and administrative agencies with respect to employment discrimination, sexual harassment, wrongful discharge cases, unfair labor practices, wage and hour matters, and other employment related litigation. He also counsels clients regarding matters including hiring and firing decisions, severance agreements, employee handbooks, employee discipline, wage and hour laws, and compliance with state and local statutes, regulations, and case law.